Great photos from Cannes on Vogue's and Grazia's websites. The Great Gatsby dominated so I really hope this film lives up to the hype. Check Cara in Burberry. Very glam. Love Audrey Tatou! This Red Valentino dress just needed a bit more colour. She looks in great form. Carey Mulligan in Dior Couture. Love Lana's hair. We saw her live this week in concert. She was amazing and has improved so much. Wonderful singer. I have mixed feelings on Nicole's McQueen dress. Nice but she's played the lbd far too often that you yearn for a little spice. Now we're talking! Gimme a little more of that Va Va Voom Nicole! Again here in Dior Nicole comes alive. Ditch dem lbds girl! This is a rarity. A Solange Knowles fashion mistake. A colour best saved for Grandmas. Stephane Rolland dress. Surely sleek hair would have suited Freida Pinto better. This flowing Gucci look needs refining and then will truly be breathtaking. I think the green version would have stole the show. This is bad. Florence in Miu Miu or should I say Poor You. It's best to wear your hair up with pyjamas sleepy head. 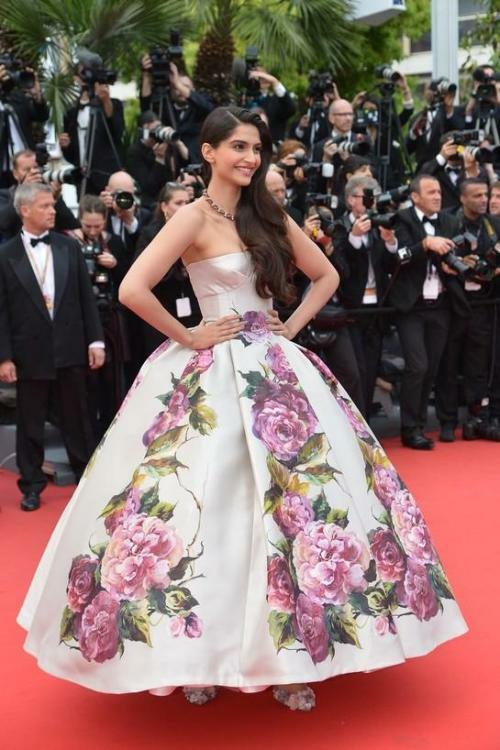 Actress Sonam Kapoor was so elegant in Dolce & Gabbana. Georgia May continues her great fashion run with Roberto Cavalli. Fantastic ambassador for that brand. Director Baz Luhrman looks a little foolish besides Leo. A real case of the blues. Nobody does Cannes better than Fan BingBing. Louis Vuitton gown from heaven.